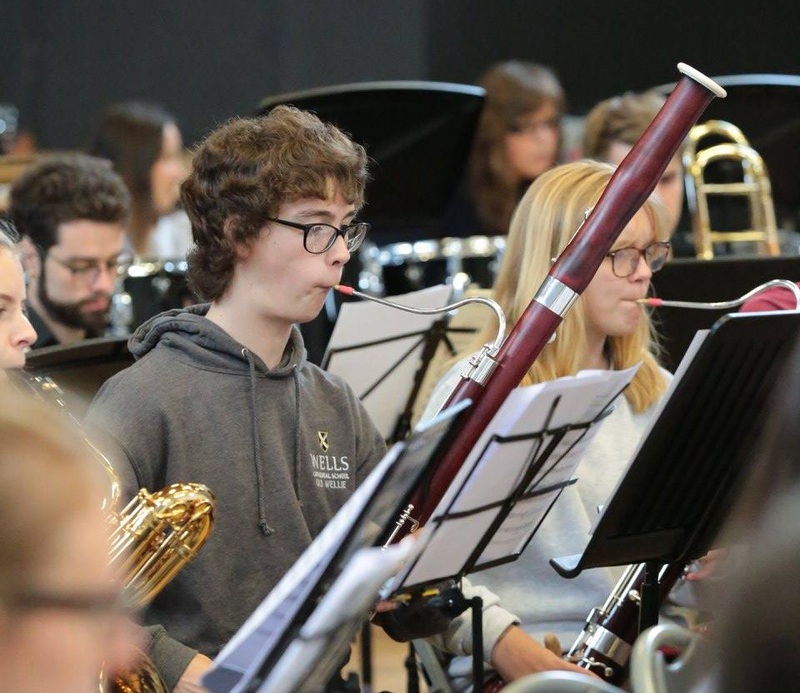 Ashby Mayes is an undergraduate bassoonist at the Royal College of Music where he is a Douglas & Adele Gardner Award Holder, and supported with the Douglas and Hilda Simmonds Award. He studies with Joost Bosdijk and Sarah Burnett and has played in masterclasses with Ole Kristian Dahl, Julie Price and Giorgio Madolesi. Ashby is generously supported by Michael Attenborough through the Richard Attenborough Trust, as well as the Golden Charitable Trust and the Everest Lewis Golden Foundation. He is also proud to be sponsored by the Royal Philharmonic Society and is grateful for his support from Talent Unlimited. Ashby was a finalist in the Future Talent Coombs Scholarship competition, and is an AYM award holder. He was a Leverhulme Arts Scholar at the National Youth Wind Orchestra, with whom he played for 5 years and was Leader of the 2018 Orchestra. Previously, Ashby studied with Pete Harrison at the Junior Department of the Royal Academy of Music aged 12, before gaining a full scholarship to study at Wells Cathedral School in 2015. As a soloist, he was awarded third place in the RCM Concerto Competition playing Weber’s Bassoon Concerto. 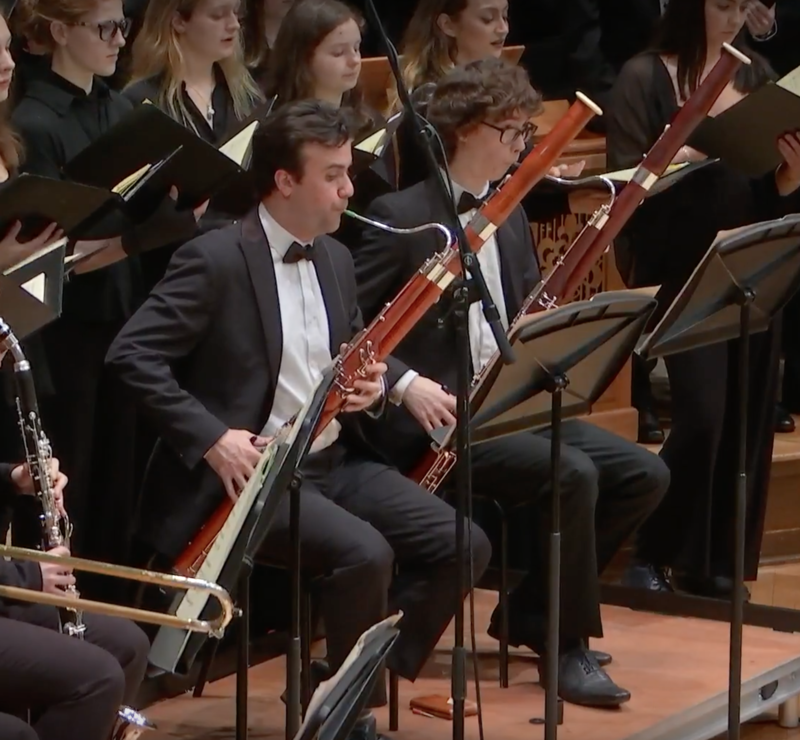 He premiered a solo work by Darren Bloom at St John’s Smith Square in London, recorded Jeffrey Joseph’s Second Bassoon Sonata and has performed solo’s with the WYS Baroque Orchestra, Watford Youth Sinfonia and the Wyatt Sinfonia. Ashby has taken part in sit in sessions with the BBC Symphony Orchestra under Duncan Ward, and with the Philharmonia Orchestra under Jakub Hrůša. He has taken part in two LSO On Track schemes, with one performing with the LSO in the 2012 Olympic Opening Ceremony. Ashby has toured Spain, Poland and Germany; as well as Holland with his quintet at WCS, and Switzerland with NYWO. Ashby played at the prestigious Lucerne Festival in Summer 2018. He has performed at the Royal Albert Hall, Royal Festival Hall, Queen Elizabeth Hall, the Barbican, Symphony Hall (Birmingham), the Concertgebouw, Amsterdam and the KKL Luzern. He has also recorded at Abbey Road Studios and RAF Northolt Studios. Ashby has been featured on the Classic FM website playing multitrack recordings of his own original arrangements. He will be performing for HRH The Prince of Wales in March 2019. He has performed under the baton of Sir Colin Davies, Edward Gardner, Martyn Brabbins and Jac van Steen and has performed alongside Sergio Azzolini, Maximiliano Martín and Stefan Dohr. Ashby is Chairman of the Watford Youth Sinfonia; a joint-led youth orchestra, and plays in other student-led orchestras such as the Brio Symphony Orchestra, the East London Symphony Orchestra and the Wyatt Sinfonia. Ashby is passionate about many genres of music and intends to pursue a career in classical bassoon. Ashby plays on a Heckel 13000 Series Bassoon.